More districts are embracing the use of personally owned devices in schools. Certainly, the current trend of students bringing their iPods, netbooks, tablets and other Internet-ready devices to school is the latest, but not the final step on the digital journey. We spent the 1980s bringing in computers to schools, often having several students working together on one computer. In the ’90s, there was a huge growth in class computer labs and, over the past decade, with technology becoming more mobile, we have established one-to-one pilot programs. Since schools and districts have experienced ongoing success with these programs, technology costs have decreased and devices to access the Internet have increased. Many districts, including ours, are looking at what role and purpose personally owned devices in schools can play. 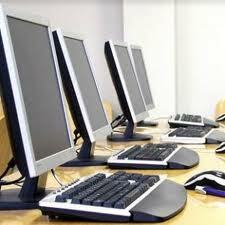 And, as we open up our networks, we are seeing a huge uptake of students with their various Internet-ready gizmos. In secondary schools, the vast majority of students have a device with which they can access the web. This is not only true in West Vancouver — close to 80% of teenagers in Canada have a cellphone, and many others have a similar device with Internet capabilities. So, this is clearly a growing trend. While it is true some devices work better than others to access information, no longer are students limited to time in a computer lab, or having to rush home to their computer in order to engage digitally with content and the community. Often, my advice to students and parents regarding technology is, “If you are paying (for your child) to have a cellphone and can’t afford a computer, you should look at making a different choice.” It might seem harsh but, in terms of learning, a netbook or tablet computer has greater potential. Access to the district’s wireless networks are less of a problem, and there are simply more functions that can be performed on a computer than can be done on a cellphone. There are also certain devices that are more appropriate for certain ages, and tasks, than others. At the rate devices evolve, we hardly have “the answer” about which tool would be more appropriate, but we are encouraging students to have a netbook or similar device beginning at the Grade 4 level. Before and up to that level, then a slate (perhaps to be shared with others) seems to be more appropriate. In the next few years, I think there will be a ramping up of personally owned devices in schools, as well as more of a consensus on what the “right” devices are for certain ages. I suspect, in about 10 years from now, all students will have a similar gizmo they will bring to class, and a series of digital learning support tools. In the context of today, if students had a netbook and then other digital tools like iPods, cellphones and cameras (as necessary) available to them this would be a digitally rich class. And so it goes. We are solving the information challenge by promoting Internet access and encouraging the use of various devices, and then we will have a new challenge with the range of devices in the classroom. It’s so amazing how far the internet has come in the last few decades. The speed of change is quite amazing. It is hard to contemplate what digital literacy may look like even 5 years from now. Your comment about advising parents to ‘make a better choice’ about cellphones versus a computer is interesting, and at this point, I would absolutely agree with you. However, I don’t think it is a stretch to think that in a very short period of time, smartphones have the potential to take over in terms of productivity for students. While Instant access to the internet, texting and social media in the palm of the hand of a student are where we are at now, cloud computing in concert with some of the new innovations being kicked about overseas (such as hologram keyboards and mini-projected screens for phones), make it seem as though just a matter of time before ‘it can all be done’ with one small device. Right now, I find that I tote my laptop, tablet and phone around because they serve different functions for me, just as you have written about. I hope that in the very near future, we get to the point for students and for people like me that there is just one small and relatively inexpensive device that does it all. Great points Cale. I’m waiting for the day that I can embed/attach my smartphone phone directly into a thin laptop for productivity, communication, and collaboration for local and cloud-based tasks. Hopefully we’re not too far off from making this more marketable. They actually have these on the market right now. The Motorola Atrix is a standalone Android smartphone, but you can plug it in to a docking station with a built-in keyboard and screen that basically turns the phone into a netbook. You can run the phone’s apps and use a regular web browser for cloud apps. I wouldn’t be surprised if third-party accessory companies start making these for the iPhone and other popular smartphones pretty soon. You can already get keyboard docks so this would be the next logical step. I am also very interested in the products that allow for projection from smartphones and virtual keyboards – the future is close. Yes – hopefully this is soon. I have to believe in three years I will have fewer and not more devices that I take with me all the time. Interesting – I am also finding that although I thought I would only be carrying one device by now, I am actually carrying three with me most places (laptop, iPad, phone), since they serve different functions. I often use the word “gizmo” when describing the device that students will bring, as to not get stuck on the device of the future being a phone, tablet or laptop. I do think we will over time, come to ground on what the best everyday device for students will be. I think like calculators, we will move to a standard device. I think it will be larger than a phone, smaller than a laptop, have a touch screen and some sort of keyboard (either physical or virtual). Hopefully we get the price point, under $100 soon (I thought we would be there by now when I was thinking about this five years ago), so we can have the access and equity we all want. Useful post for administrators everywhere. Part of the struggle will be equitable access. Just here in the Vancouver area we have a tremendous range for personal access to technology. Presumably a glance into our public libraries reflects some of that discrepancy… the workstations are nearly always full, and not only with seniors but also with youngsters. Many have no POD and likely no Internet access at home. Like Cale I am toting around multiple devices…laptop, two tablets (I feel guilty about that), an iPod, a phone (oh, and a ham radio/scanner as well) … I too yearn for a time when those devices will be unified in some way. Thanks Peter. I think we need to take some responsibility for the range of devices students bring, and be more explicit with them about what are the best devices for learning. Depending on the age and subject, some tools are simply better than others. To your comment about internet access – I think in looking at data out of McCreary and elsewhere the kids do have internet access at home, and devices. And for those who have cable tv but no internet, my line would be similar to what I say about phones / netbooks – if you need to choose between television and the internet – pick the internet – it will help your child more than television every possibly could. I guess the focus will have to be on same software or at least similar software rather than the device or operating system. A second issue is trusting students to use their devices appropriately during class time. Our investment in West Vancouver has been in creating an environment that is not dependent on any particular device or brand. While our environment is better on Windows machines than Macs – they all work. We really want to move the conversation away from what kids bring and to what we want the environment to look like when they bring their device. I was in an elementary school yesterday and saw students with a range of laptops, netbooks and iPads all accessing our environment and their student dashboards. Often I get the question from educators, “How can I teach in a classroom with students having a variety of their own devices?”. This new reality of giving students the flexibility and choice to bring in their personal learning devices really gives us the opportunity to address how we can improve the learning environment for students. We need to build a culture of ethical use of devices with our students and build assignments that give students choice on how they will deliver their learning to us. It is not the poster project that is the problem but the better question that we need to either form with or pose to our students. Are we giving them “non-googleable” questions that inspire them to explore concepts or are we just asking them to cut and paste their way to graduation? The sea of devices in a classroom forces us to embrace our role as facilitator of knowledge in a community of learners. Are we going to embrace the possibility to improve education for our students with these new tools? Digital devices are just that, another tool that will stretch and expand learning in the student/teacher toolbox.Teachers need professional development in the potential of digital devices and the cloud and students can help in this learning. In the end, an innovative, open teacher is really our best app. Well said Lisa. We do have examples of teachers doing excellent work in classes of a range of devices. The goal is not that students blog, or can do a PowerPoint – but it is that they have access to connect and collaborate with digital tools. That said, I do think we will begin to find at certain ages and stages certain devices becoming much more prevalent. In one of the other comments, I made the connection to calculators – although there is no “mandatory” calculator – there is an understanding at certain grades about certain functionality – I think the same will hold true for our internet appliances that students bring. Good point made by Peter regarding equitable access for all students as well as Lisa’s comment about teachers needing to ask “the right non-Googleable questions. Teachers need to expend the time to learn these new devices. I know that most of us have learned the new technologies without attending Pro-D days or workshops. There is an over-abundance of available “helps” or blogs, Nings where sharing of resources and ideas are available, and the contacts we make on places like Google+. Thanks Ken – the technology is just part of the solution and the support for teachers is key to moving forward. There are lots of places to explore, but I find all teachers want a core set of skills and an understanding of the digital environment and they will take it and run from there. I like your advice to parents to, if given a choice, ditch the cell phone in favour of a tablet. Regarding the whole smart phone in the tech savvy classroom thing, I’m somewhat of two minds about it. In one moment today during my Philosophy 12 class I was using my iPad to enter grades and lecture from a keynote presentation while admonishing two or three girls to stop texting from underneath their desks. I want to bring tech in to enrich learning and instruction, and I want to banish it altogether to ensure engagement on the key concepts at hand. Philosophy and multi tasking don’t mix, but tech and Philosophy do. So, is it really the size of the device? We are much more comfortable with students having larger devices (iPads, netbooks etc.) but not smaller ones (smartphones). I know the “phone” function on my phone is one of the most poorly used – I use the device for email, web searches, photos, and texting much more. We are converging with our devices and have to get to place where we can figure out what the gizmo is that we want for kids to have in school that is not just a distraction but supports learning. Yes, for me too it’s not the size of device so much as the students’ compulsion (hey mine too) to use any gadget to not engage in the present moment. Was thinking about your comment about your battle with text’ers and you know, I don’t think that there is anything wrong with banishing electronics in parts or all of some classes. There is still some value in being engaged with the person at the front of the room. It is a skill to be able to truly listen to what someone is saying and processing it, then perhaps even discussing it with someone sans digital device. I feel for you in your battle between higher order thinking and digital distractions. I am writing this on my iPad as this very moment using a bluetooth keyboard and it is really quite a nifty little combination BUT it is by no means a laptop. My ACER is in the shop getting a new hard drive and I am discovering just how limiting the iPad is. Now with this said, the iPad is a great tool for both in and out of the classroom and am sure it will only become more powerful but if I was to advise a parent on what to get their child for classroom use I would suggest a laptop that is no more than a 15 inch or a net book. If you go to any university campus, laptops are the go to device for productivity and for good reason. As for “controlling” use in the classroom, we have to get beyond the notion of teacher as the almighty information dispenser confined to a 25′ to 25′ room. If we try to introduce digital information gathering / sharing into a traditional classroom model or mindset, there is always going to be conflict. This is not to say that students will always make wise choices in their use of digital devices in a learning environment BUT the potential misuse of these devices should not be an all consuming priority of a teacher. I agree with you – the advice I would give to anyone right now in school is still a laptop. And, if we think we can control – the kids will bypass us. Thanks for the thoughts Keith – and I really enjoyed your last blog post. This year my school board has seen a big rise in interest from both staff and students wanting to utilize their personal devices in school environments. There are certainly some challenges and considerations relating to security, network access, policy, and implications on instruction that will continue to evolve as new personal technologies emerge. I definitely agree that use of personal devices provides a cost effective solution to the information challenge and that long term there will be a real need for schools to welcome various devices. However, as a few other responders have mentioned, the need for teachers to be able to embrace and effectively utilize these tools in their practice is important. There is a bit of a pedagogy shift required and I do think that this needs to be supported in order to be successful. While this is only one example used, the fact that this was used as an example concerns me. If this appeals to teachers and to the public, then we still have a long way to go to actually opening the doors for personal devices. That being said, how do educators reach out and inform the public about the high level of learning that can occur in ‘digitally-rich’ classrooms that harness the potential of personal devices? I think to an extent it just boils down to what the student is most comfortable with and what is most appropriate for them, with respect to both their academic program and their out-of-school activities. Schools focus on fostering life and career skills, and if school’s are aiming to integrate non-central technology into their student’s lives then it’s more-or-less a wasted effort. Of course it’s great to be able to answer a parent when they ask “What should I buy my kid?” with a specified gizmo whose price and availability you have memorized, but is there really a one-size-fits-all solution? I think one assumption we have to get passed is that school’s need to create their own access hubs online, using custom (and overpriced) CMSs that turn up under-supported and over-rated. Here’s a radical idea — and I say this tongue-in-cheek because many educators have been saying this all along — how about we only use systems that are mainstream? Get kids using things they either a) are already using, or b) will use in most professions. Social media is a great example of this, particularly because it is user-friendly and free. Some teachers are scared of Social Media, though, which is out of misinterpretation rather than logic (but that is a discussion for another day.) Google Apps is one free, open, and industry standard tool-set that educators are undervaluing. Dropbox is a popular, free, and robust way to share documents (both ways). These are just some of the ones I find particularly inviting. Tools like Edmodo, however, are essentially a bandage for teachers that are afraid of Social Media, who yet want to filch the benefits of familiar UI and feature-set. Outside of a K-12 system would anybody be using Edmodo? I’m going to try to not stray too off-topic. Digital literacy is to be encouraged, which schools have accepted for a while now and have, to some extent, embraced. My main point is that confinement to any 1 technology is counter-productive. Netbooks are great if one has a need to carry it around with them; laptops are more pleasant to work on, but can be heavy; smart phones will likely follow a student anywhere they go, giving them instant access to the internet and their data; and tablets are nice in that they sort of limit the user to 1 app at a time, encouraging one to focus, plus they are light and sleek. Although schools are making a move towards tablets right now, I would recommend straying away from the trend for a few years. It’s a relatively new technology, meaning in 2 years the version you bought now will be totally obsolete, whereas laptops have a typical lifespan of 4 years (cell phones usually end up on a plan, forcing the consumer to stick with it for the plan’s life). Educators must not foster an environment of technology; rather, they must foster an environment of learning, AND accept that students deserve the best education possible. If students will learn better via embracing technology, then the educator owes it to their students to embrace technology. Do professors demand that students take notes in a certain format? Or do they just encourage students to take the most meaningful notes possible. Change “professor” to “K-12 educator”, “take notes” to “‘work'”, and then re-answer the first question.